A few weeks ago I fell for my old hobby and felt like assembling a remote-controlled car. 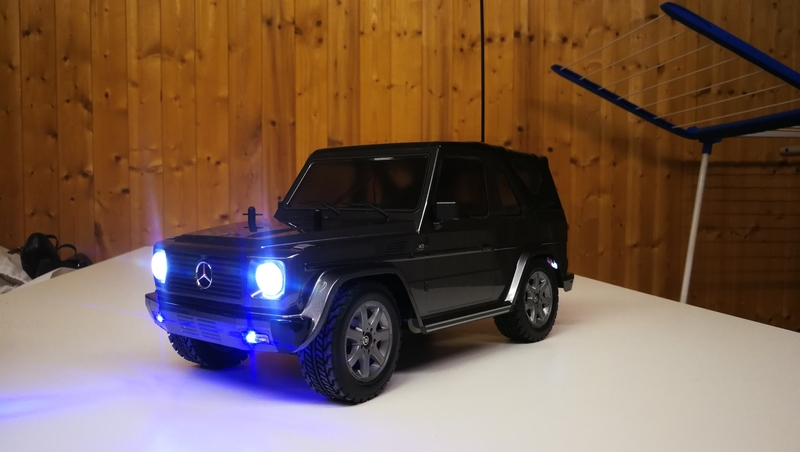 As a fan and owner of a real Mercedes-Benz vehicle, I chose the G320 Convertible SUV kit from Tamiya. As is usual with the rather simple Tamiya kits, they have no lighting, and I didn’t want to buy a ready-made RC lighting kit. So I decided to build my own lighting based on an Arduino Nano-compatible controller instead. In this blog post I present my solution, in case you want to rebuild it.